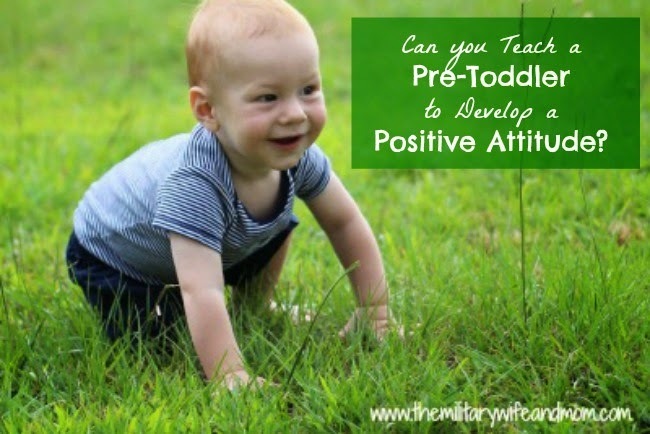 MY DEVISING: BFBN: can you teach a pre-toddler to develop a positive attitude? BFBN: can you teach a pre-toddler to develop a positive attitude? Our last post for the week comes from our guest blogger, Lauren at The Military Wife and Mom. She talks specifically about teaching a pre-toddler to have a positive attitude. She points out that it's easy to let things slide at that age, saying, "Oh, he's just a baby." But really, so many good habits can begin forming right then! And, of course, she reminds us at the end that the best way to teach a positive attitude is by having one ourselves. Read the rest here!